Special Note: PDAS participants who completed their PDAS training prior to January 1, 2008, will need to contact the Education Service Center (ESC) in the region in which they took the training to get a copy of their certificate. 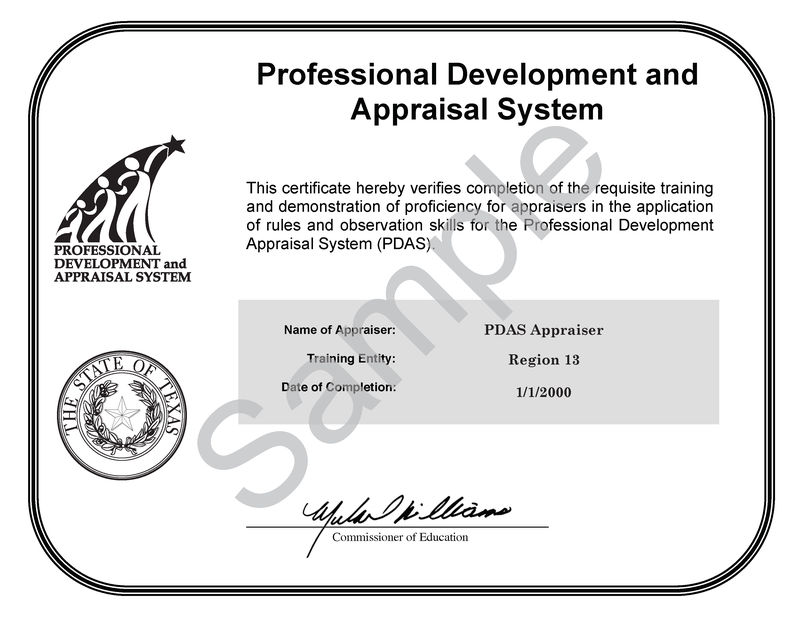 Only PDAS certificates AFTER January 1, 2008 can be found here. Instructions: Type in your First, Middle, and Last name, the same way you entered it when you completed your PDAS training, then click on the Submit button. Once your exact name is found within our system, your certificate will automatically be downloaded to your computer as a PDF document.